Social media is a busy place these days, especially for small businesses. It’s not easy to get people’s attention and hold it long enough to turn them into loyal followers and paying customers. So how do you actually raise your brand awareness on social media? How do you make people remember you for the right reasons? 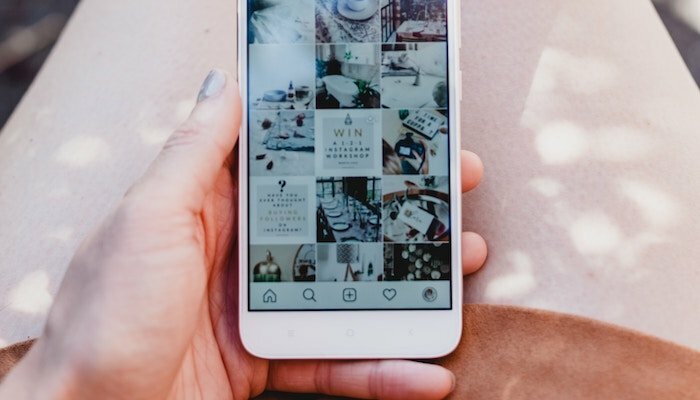 Here are 3 steps to raise your brand awareness and be memorable on social media – including some practical tips and examples to get you started! Make sure the design of your social media profiles is in line with your small business’s branding. Your Twitter profile should be easily recognisable for people who already follow you on Facebook, have used your website in the past or pass by your shop on a regular basis. Regardless if it’s your cover photo, profile pic or visual content, people will only remember your brand if the look and feel of your social media activities are consistent. Ideally, you want people to recognise your content by the imagery alone. And raise your brand awareness in the process. Your target market is central to every marketing activity you engage in. But when it comes to cutting through the noise of social media, tailoring your content to your ideal client is the only way to success. Find out what your favourite customers like, what information they are looking for on social media and when they usually have the time to have a look at their news feeds. To get their attention you have to pay attention to them first. Read more about how to define the best content for your small business marketing. A lot of social media profiles are simply sharing link after link without saying much else. No matter how interesting or relevant the link may be, it always comes across as lifeless and impersonal. And that doesn’t help you raise your brand awareness at all. In order to make your profile more memorable and let people get a feel for your small business, you have to be different, personal, unique. Taking into account that most of your followers don’t know you personally, finding your own individual voice on social media is crucial in order to be heard. It’s easy to hide behind “we” on social media. It’s what big business does, so why shouldn’t you? Well, one of your main strengths is that you aren’t a big business. People shop with small businesses because of the friendly and personal service. Use this to your advantage on social media and raise your brand awareness doing it. If you’re a one-man-band, refer to yourself as “I” on social media rather than a mysterious, all-encompassing “we”. Show photos of yourself and your team. Use your own tone of voice. Talk about things you’re passionate about. Just be yourself. Video content is now a huge part of social media, but many businesses are yet to embrace it. Every time you scroll through Facebook, Twitter or Instagram you’ll no doubt see lots of videos, whether they’re adverts, memes or vlogs. Rather than committing yourself to film 20 minute long vlogs every week, start small. Boomerang is a great tool for posting short, fun video clips that really grab people’s attention and raise your brand awareness. Alternatively, you could film short video clips to show the behind the scenes aspects of your business, or consider using a video for your next social media advert rather than a photo or link. Don’t spend all day, every day telling people on social media to buy your products. They will quickly get bored and might even unfollow you. As a rule of thumb, 80% of your content should be about your potential customer (with regard to your industry): Be informative, educational, helpful and don’t forget to be fun as well. That leaves only 20% dedicated to selling your products. So a good mix of content is needed so people remember your brand. And don’t be afraid to share content from other people or other businesses. This will make you seem trustworthy and show that you know what you’re talking about. It might seem obvious, but it’s amazing how many businesses aren’t very sociable on social media. Think about it: how many times have you tweeted a company and received no response? It only takes a few minutes to reply to comments and questions, thank people for sharing your content or start a conversation on social media. Show your customers that you care about them. And use social media to connect with other small businesses. Whether you’re answering customer service queries or just having a chat with customers, being friendly and approachable will make your small business stand out on social media. Take advantage of the latest social media feature and go live on Facebook, Twitter or Instagram. Live videos are a great tool to show some personality behind your business or offer followers some useful insights. To make your brand more memorable, you could organise a live Q&A, unveil your latest product in a live video, or live stream an event to show your followers what’s happening. Social media platforms are constantly evolving, so it’s a good idea to keep your eye out for new features or trends like this. Being one of the first small businesses in your niche to use new features (like live videos) can really help you be creative and stand out from your competitors.